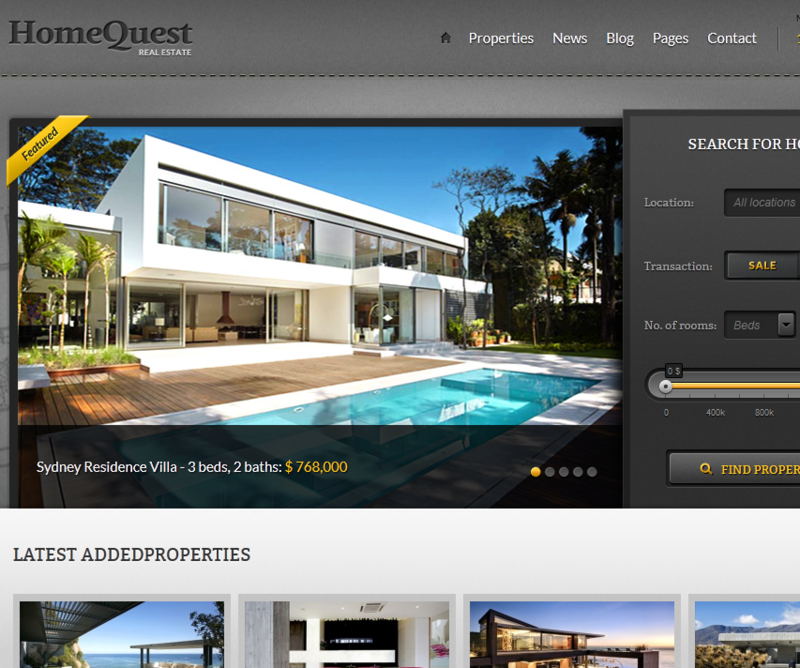 HomeQuest: a real estate directory theme with attractive pages and a full screen map. HomeQuest is ready to be translated and monetized. It comes with instant search functionality. 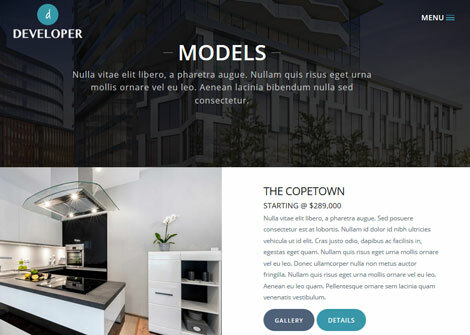 ElegantEstate: ElegantEstate is a pretty affordable and sleek premium WordPress theme for real estate websites. It gives your visitors the chance to search through your listings and gather a bit of information before contacting your business. EstateEngine: this theme lets you customize your site with various modules. 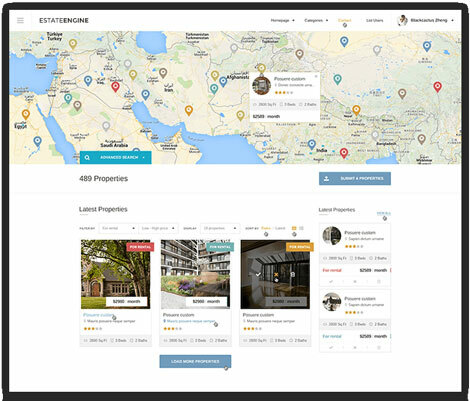 EstateEngine lets you manage properties and monetize your site. It is ready for mobile devices. 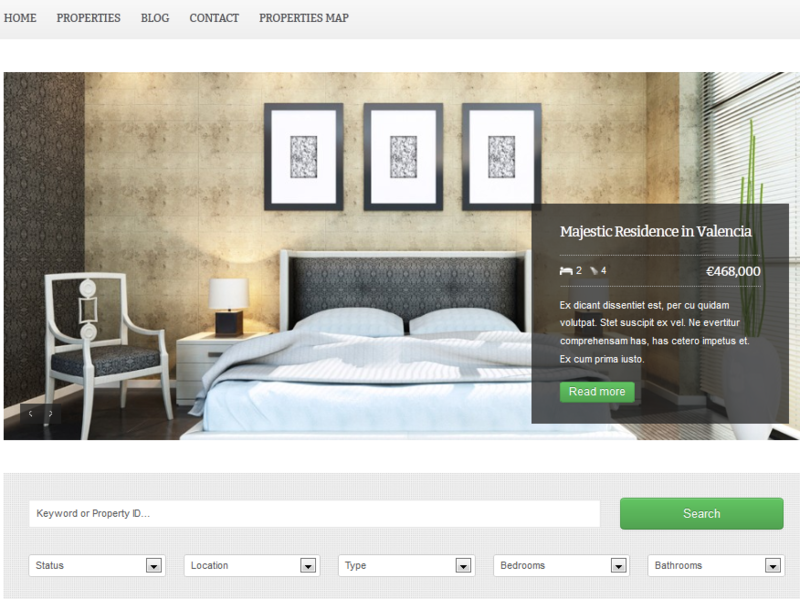 ClassiEstate: this child theme turns ClassiPress into a real estate listing website. It is responsive and ready to be monetized. Villa Rental: lets you list and manage booking of your rental property online. Villa Rental has a booking form, calendar, and backend options to add rooms. 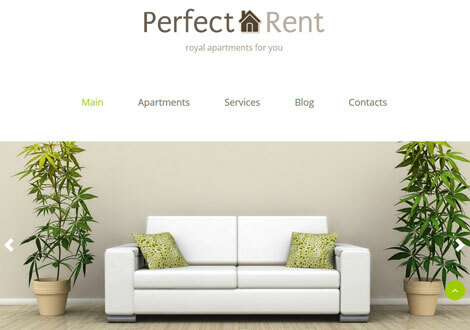 Perfect Rent: a responsive theme with an attractive slider and parallax scrolling. It is powered by the Cherry framework 3. Perfect Rent comes with Google Maps integration. 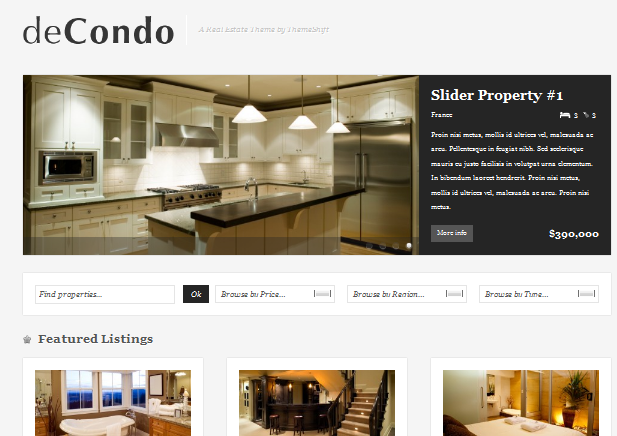 Javo Home: a responsive, retina ready theme for real estate websites. Javo Home offers advanced Google Map options. You also get premium plugins such as Visual Composer and Ultimate VC add-ons. Homeland: a drag & drop theme with property submission, bbPress submissions, and advance search functionality. Homeland is fully responsive and 3 theme layouts. 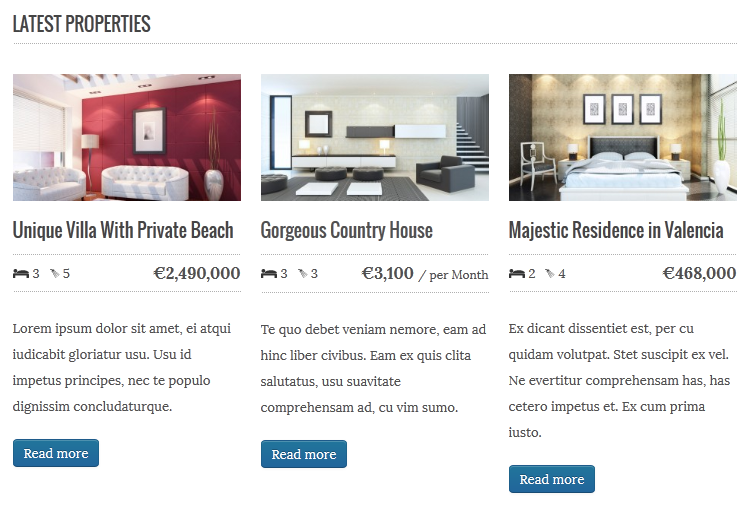 DreamVilla: a single property real estate theme with 3 homepage variations and a responsive design. You can use DreamVilla to rent your property online. 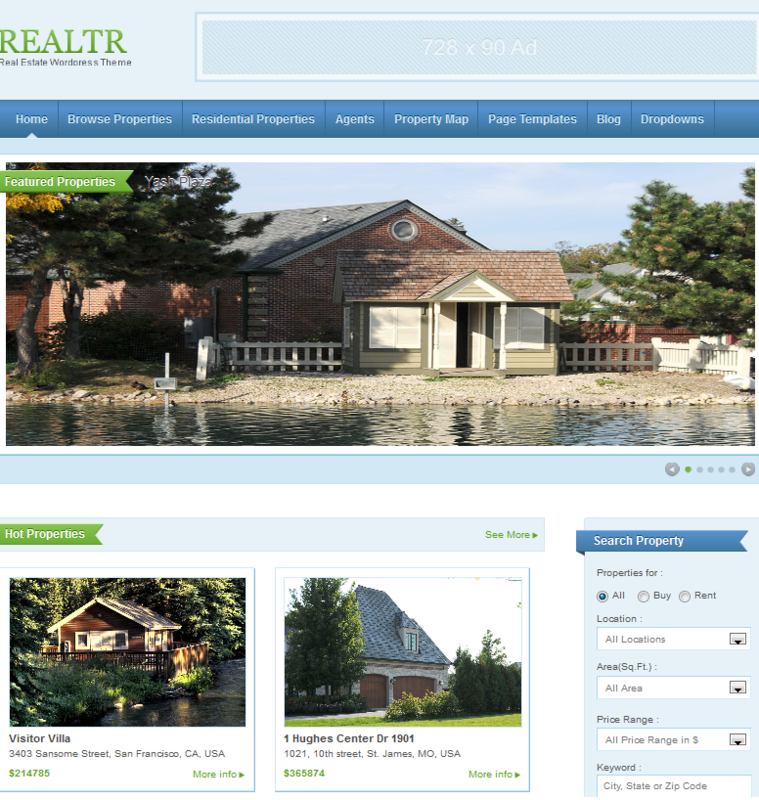 Realtr: the Realtr theme is one of the most versatile real estate themes around. It has an attractive design with an impressive set of features useful for real estate portals. It comes with 7 integrated payment gateways. The MLS/IDX systems are supported too. 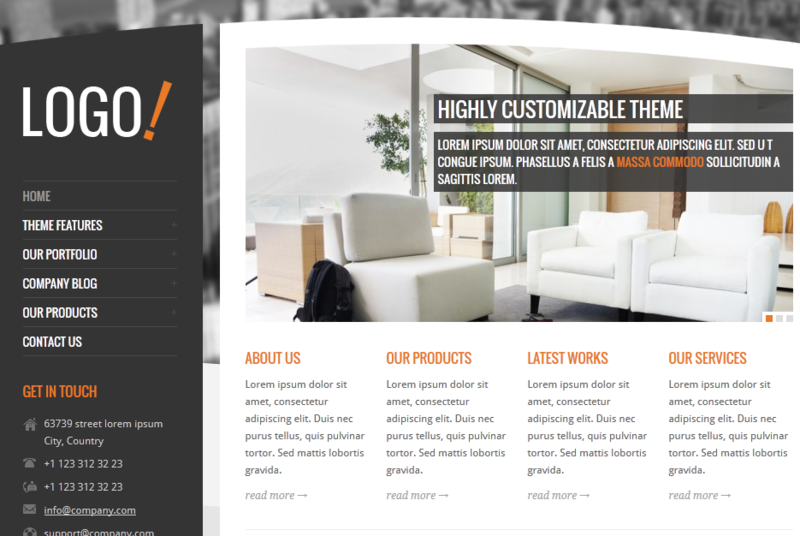 Developer: Developer is a theme for builders, contractors, and developers. It has a drag & drop page builder, mini galleries, and Google Maps. 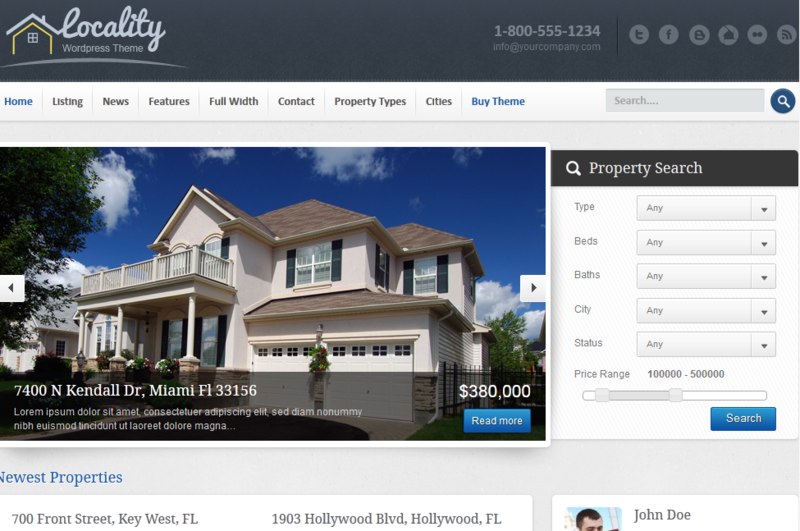 Realty: a real estate theme with a drag & drop page builder, Google Maps, and Retina-ready design. It lets you create your own property search. Quick Sale: a single-property real estate theme for property owners and agencies. 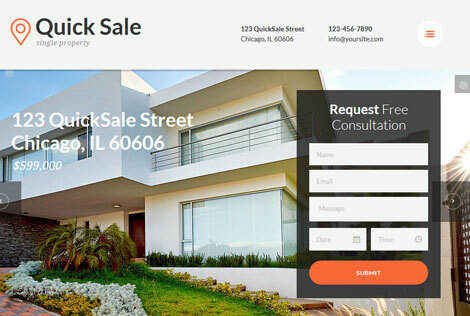 Quick Sale has an online appointment system, premium sliders, and a responsive design. 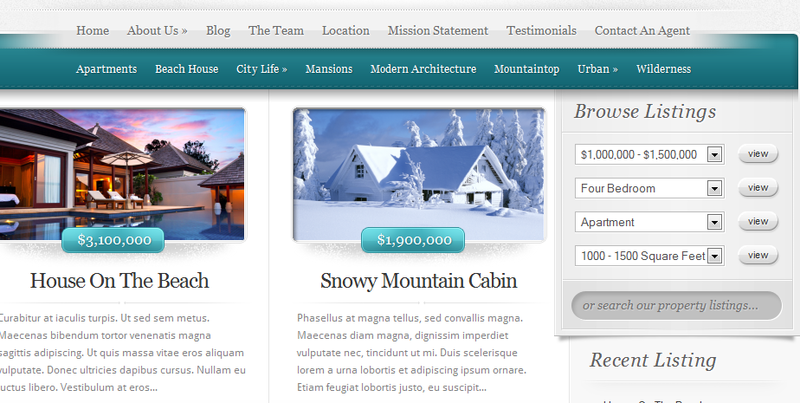 CitiLights: comes with dsIDXpress integration, so you can display MLS listings on your site in an attractive fashion. CitiLights is responsive and supports frontend submissions. 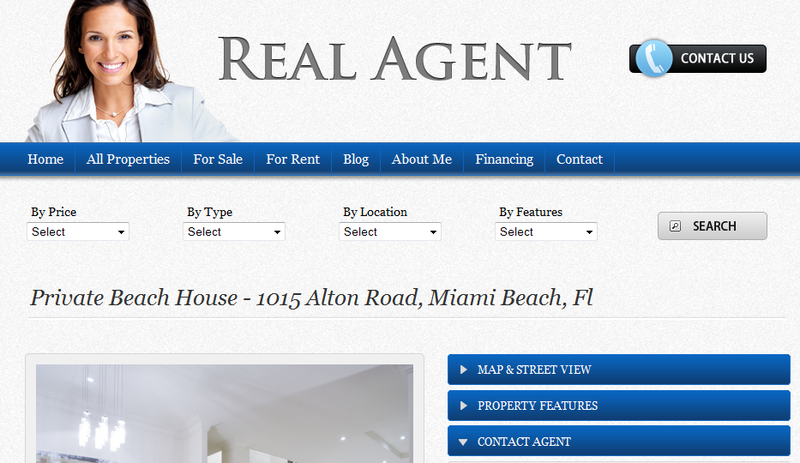 Bel Air (WP-Realtor): Bel Air theme is another great theme for these types of sites. It offers IDX and MLS integration. It has 6 color styles and is easily customizable. Theme localization is supported. RealtorPress: RealtorPress has plenty of color schemes and comes integrated with Google Maps. It’s very image friendly too. Lets your visitors search through your home listings fast. 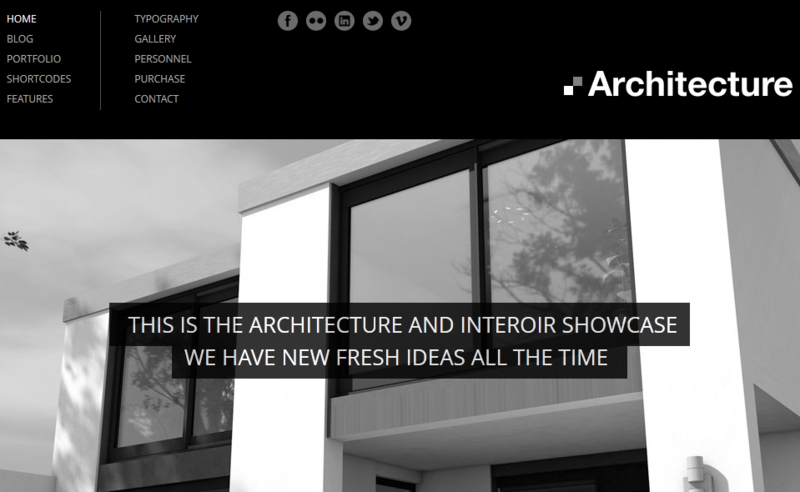 Domestica theme: one of the best looking real estate themes around. Domestica has a highly customizable back-end options panel. It comes with multiple templates and layouts. Google Maps is integrated into this theme. 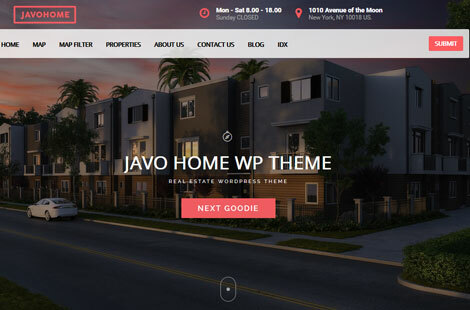 Real Estate Premium: Real Estate Premium Theme is a powerful, professional looking real estate theme for WordPress that can be used for small or large operations. Supports multiple agents and can be used to create a premium listing website fast. Comes integrated with Google maps as well. 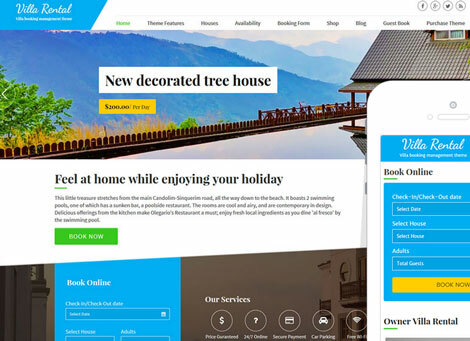 Estate: Estate is an advanced real estate theme based on WooFramework that takes full advantage of the latest WordPress features to offer a dynamic experience to your visitors. Has multiple styles and comes integrated with Google Maps. 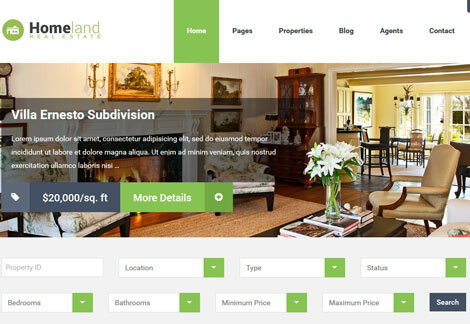 Freehold: Freehold is a responsive real estate theme for WordPress. It is optimized for high resolution displays and works great on tablets. 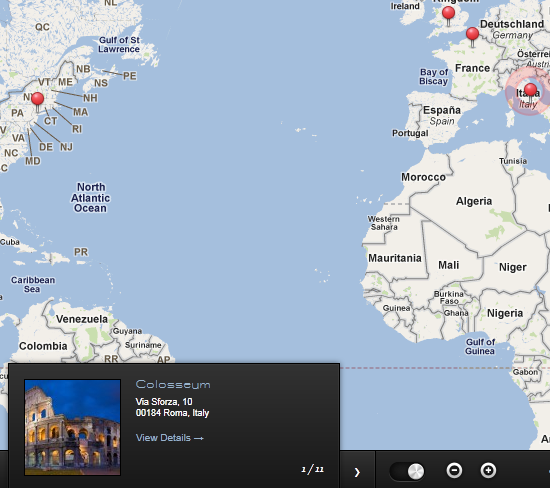 Google Maps are well integrated with this theme. 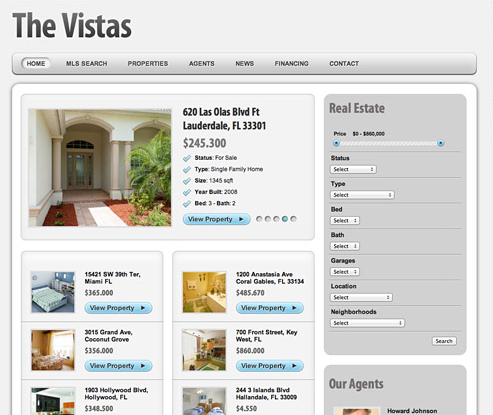 The Vistas: The Vistas is a sophisticated real estate theme with MLS integration. It has 5 color styles. The Vistas comes integrated with Google Street View, Twitter, and Facebook. 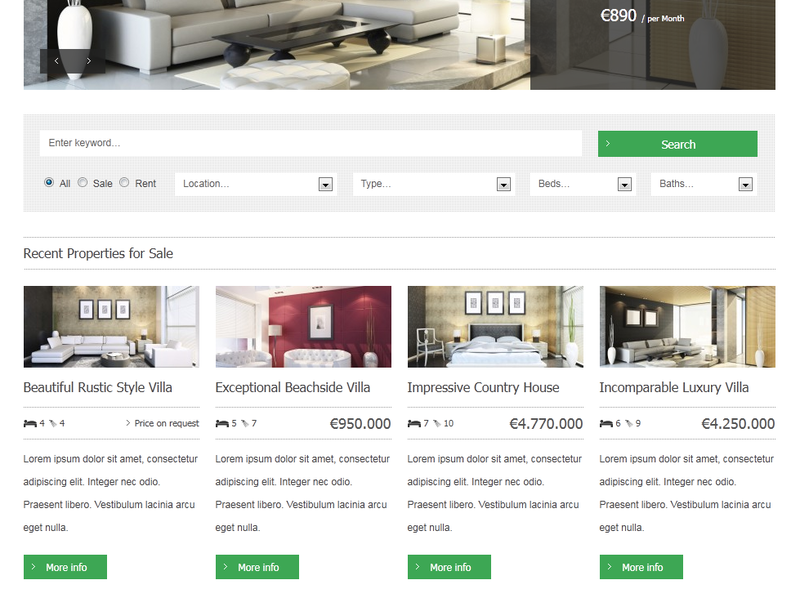 deCondo: deCondo is a clean but powerful WordPress theme for real estate professionals that has everything you need to take your listings online. It has a cool property search functionality and includes maps and galleries to help you promote your properties more effectively. 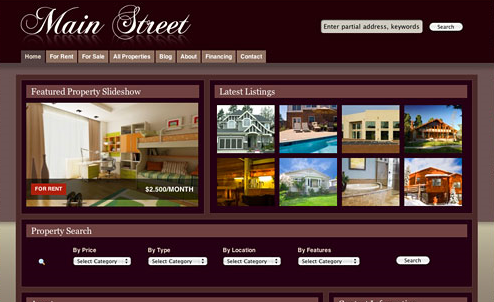 Main Street theme: Main Street theme is based on a very dynamic real estate theme that lets you start and customize your real estate website easily. It comes with Google Maps integrated as well. 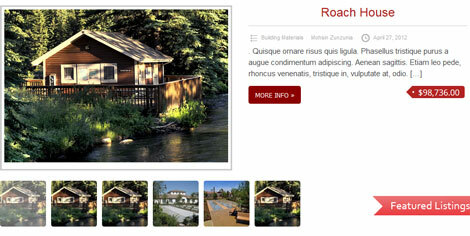 Residence: Residence theme is a dynamic theme fully compatible with WordPress 3.0. It offers Google street view and can be localized and internationalized. It is social media friendly too. 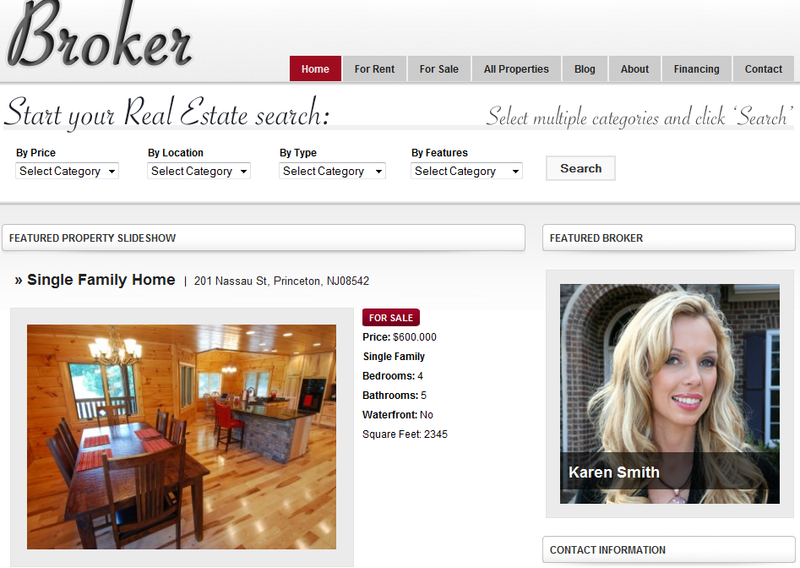 Broker theme: Broker is designed for brokers and real estate agents. It’s social media ready, very dynamic, and comes with a ton of features such as calculator, Google Maps integration, and search. deCorum: deCorum has a minimalist design but works for small to mid-size real estate organizations. It has image friendly and comes integrated with maps. Agent Press: AgentPress a very flexible real estate theme for WordPress that lets you choose a blog or enhanced layout for your home page. Property search feature is very useful as well. Open House: Open House compatible with European and U.S. sites. It comes with Google map integration and 5 color styles. Supports multiple agents. WP Pro Real Estate: WP Pro Real Estate is designed for real estate professionals that want to display properties on their website and promote their their business at the same time. 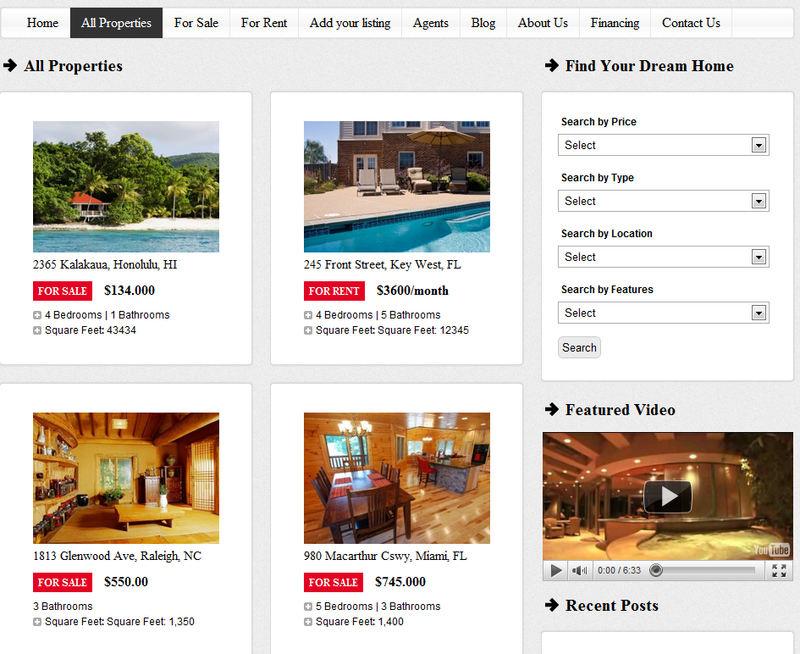 Display your new listings easily using WP Pro Real Estate. Smooth: Smooth is one of the best themes on the market (overall). 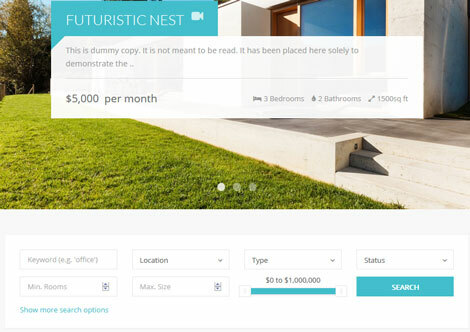 Not only it comes with enhanced listing management features, you also get a calculator that lets your readers do some real estate calculations online. 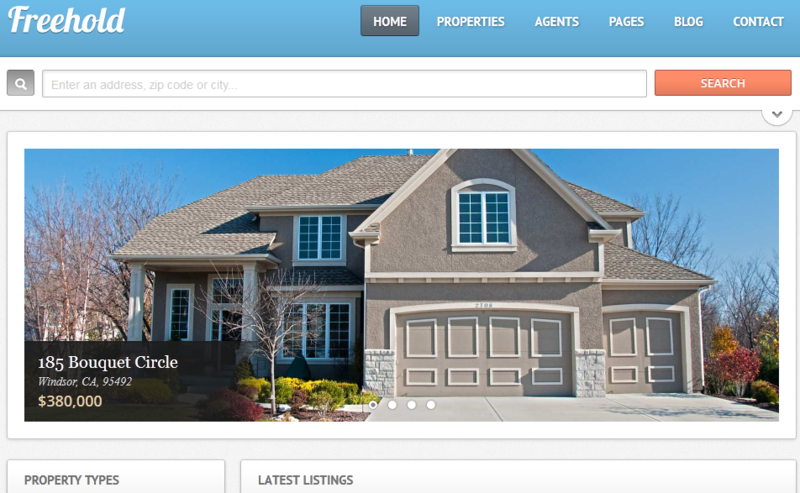 De Casa: De Casa is a lightweight but very attractive real estate theme for WordPress. Comes with built-in filtering system that enables your users to find and search for the home of their dreams on your website. OpenDoor: OpenDoor is a responsive real estate and car dealership theme. It is highly customizable and lets you compare listings. Advanced search is included too. Locality: Locality is an attractive theme with 4 custom widgets, custom theme options, a properties slider, and short-codes. It has a blog page too. Real Agent: Real Agent is a clean and dynamic framework that is compatible with the latest version of WordPress. It is grid-based and can work with international sites too. Bulk upload is supported. Architecture: Architecture is a premium theme for business professional involved in the real estate industry. It has a drag & drop page builder and an advanced admin panel. 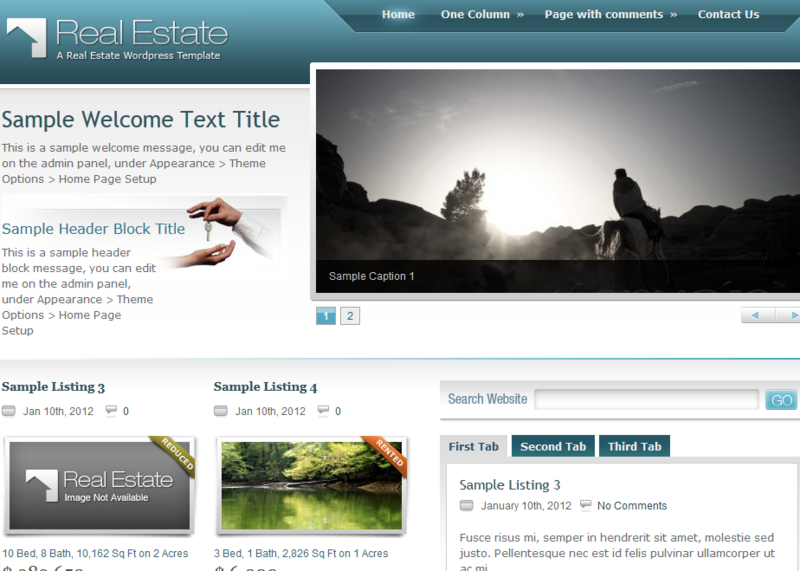 Real Estate Theme: the Real Estate Theme has a professional design and 3 color schemes. It comes with built-in contact form. Light House: Light House has a beautiful design and is highly customizable. It uses custom post types to handle your listings. You get 9 sidebar positions and 4 page templates. RT Theme: the RT theme is a highly versatile theme for showcasing goods, properties, and everything in between. You get a ton of shortcodes, 4 color options, and 8 custom widgets. 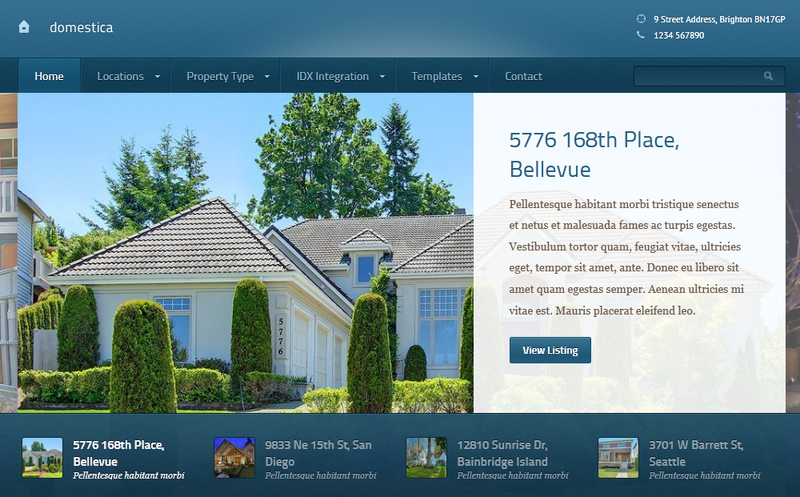 Home Quest: Home Quest for WordPress is an elegant template for brokers, agencies, and real estate professionals. It is SEO friendly and jQuery enhanced. 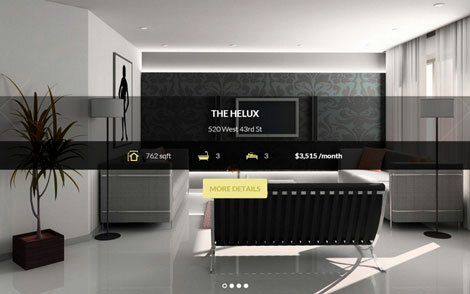 Penthouse: Penthouse is a stylish child theme for your real estate website. It is based on WP Casa framework. It is image friendly and supports a side-blog. Casanova: an elegant wpCasa child theme with a clean look and professional design. It has a responsive design and offers Google Maps integration. 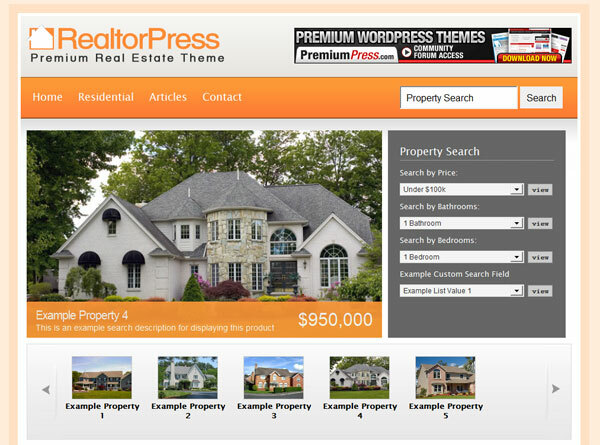 Real Estate Template: an affordable and very good looking premium theme for WordPress. Real Estate Template is social media friendly as well. 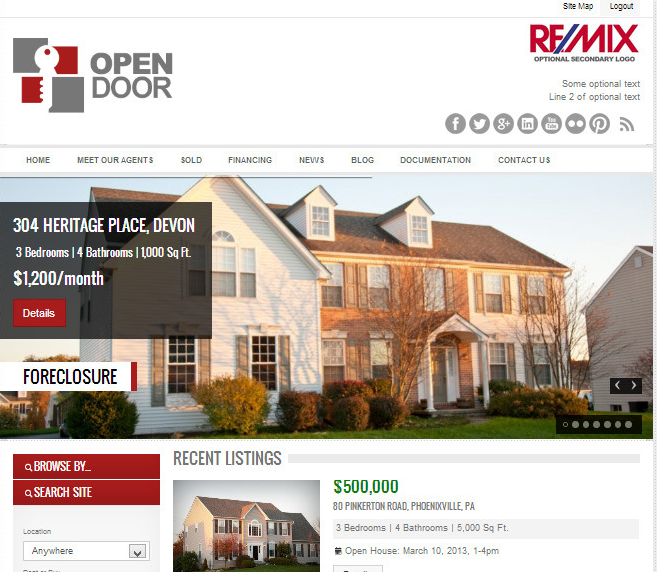 OpenHouse Real Estate: OpenHouse real estate theme is quite good looking and very easy to customize. Its loan calculator and other features are pretty handy for realty pros. 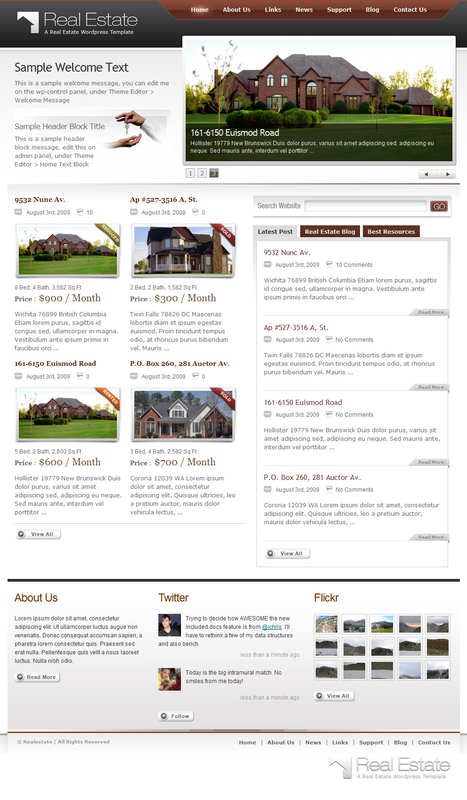 Home Sweet Home: a very basic theme for real estate WordPress websites. It doesn’t come with too many bells and whistles but it’s easy to set up. 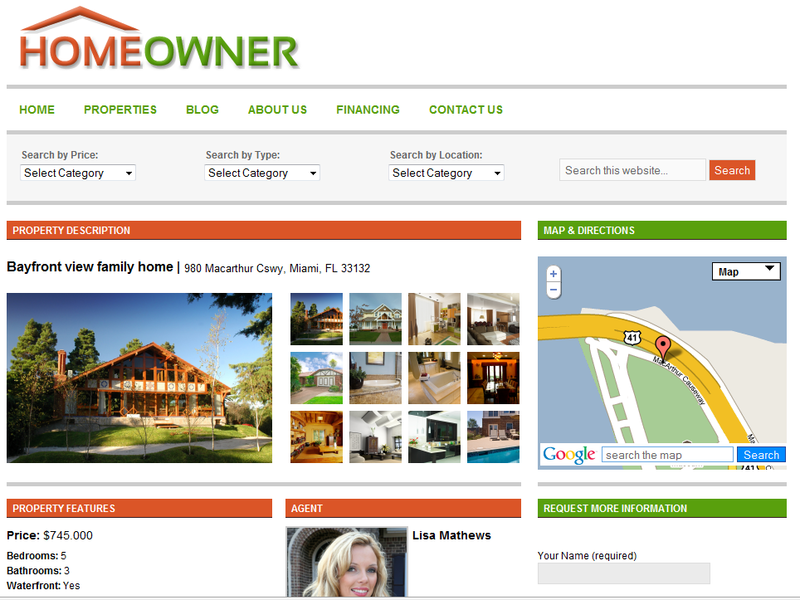 Home Owner: Home Owner is a wonderful premium real estate theme for WordPress. Comes integrated with Google Maps. It helps you build a professional quality real estate website and impress your peers. Simple Realty: a premium real estate theme designed to help you create your personal real estate website fast. Moving Time: Moving Time is a very colorful free theme for real estate agents. It is easy to set up, but you got to love colorful themes to like this. Classified Theme: Classified Theme is another listing WordPress theme designed to help you create your own real estate listing website fast. OneNews: OneNews was not originally made for real estate websites. But you can easily modify it and grab RSS feeds from real estate listing sites to create a killer real estate portal. You can also add pictures and videos to your website fast. 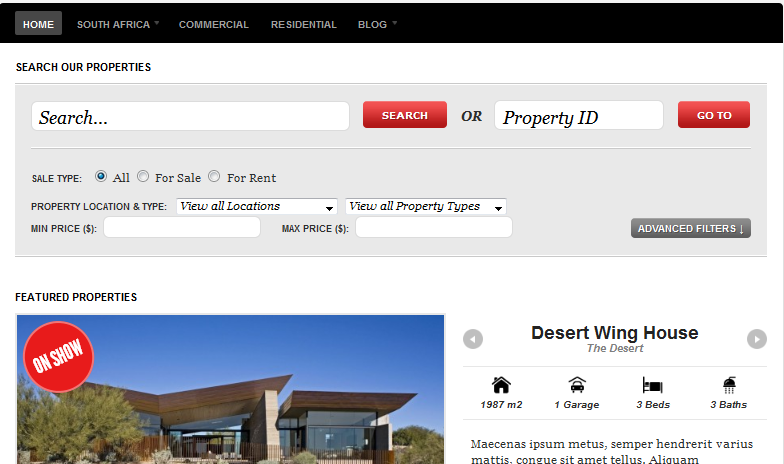 Real Estate Gold: takes full advantage of jQuery to bring your visitors a more dynamic experience. 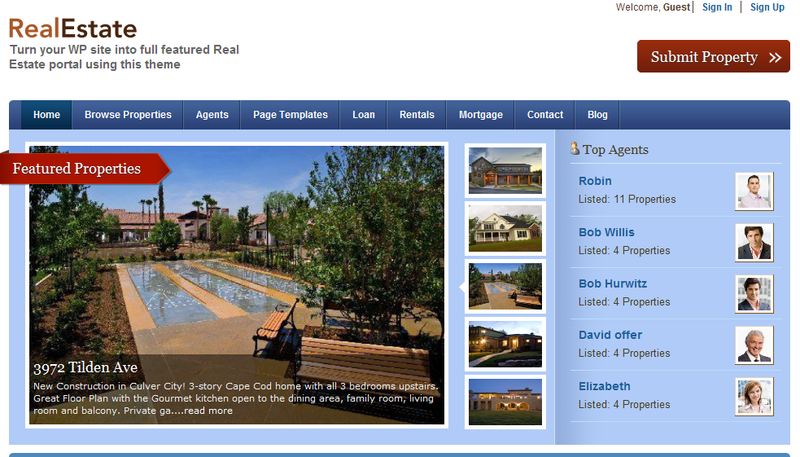 Real Estate Gold has plenty of custom widgets too (search listings, home, …). The Navigator: the Navigator is a colorful theme designed for travel, real estate, and listings website. One of the most dynamic themes in this list. Comes integrated with Google Maps. Exchange District: a very lightweight theme for WordPress. It’s a dark real estate theme, perfect for luxury house listings. There you have it. The above WordPress real estate themes should give you enough options to start your website today. Please feel free to add your favorite realty themes in the comment section. Very nice real estate templates. I might gonna use one of them for my real estate promotions. Thanks for sharing! Good stuff, had not seen many of these before! Great Themes….thank you for the information. Great list of real estate themes here. deCasa by ThemeShift has a very luxurious feel which I like. could I any one suggest that what's the difference between a real estate theme and plugin? in order to build an real estate wite on top of WP, which is supposed to be better? 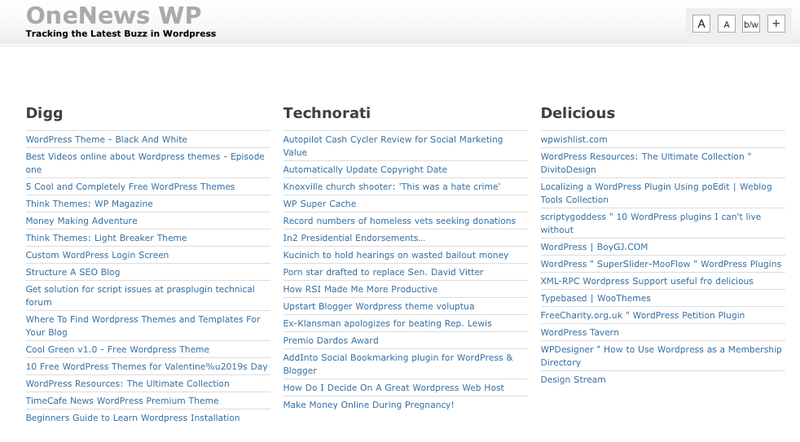 Does your WP Pro- 2 template supports greek caracters too? thanks. Please forget about gorrila theme, they are one of the wosrt in the market, it never work like it promise and VERY BAD CODE (means is not compatible with most plugin). I bought 6 of it and none of it work, every theme must have some tiny bug …. Great list! Are you taking further submissions for this or future lists? Thanks to share this tool are help to know real estate strategy and learn new technology it easy or help in future to improve business or real estate services. That can be modified to do what you want. A theme that does exactly what you want without any modification … I can’t remember seeing. I will look for it.